but it was his choice and we can just respect that. But to the topic i had in mind. There are only 3 councilors atm and i think Crown have done a lot for this clan the short time he has been here and i rly think he deserves a seat in the council. This clan needs a dictatorship system. Truth is, I was already approached by Council to consider joining them, taking one seat in there and help running the things and that was during this week I think, when we were undergoing the public vote crisis and when Meh's stepped down, yet again I was deeply honored and very surprised, because I didn't expect it, I was simply determined to help no matter of my internal position, rank or whatever but simply the fact that others were thinking of me that way made me feel really welcomed and making me take even deeper interest in the clan and helping it out. At that time, I took few day to think about the whole situation and my goal was to get to know the rest of the members better, before I approach the Council and accept their offer and assume the position within the Council. I simply wanted to get more acquainted with the order of the things around here just so I could do my job more effectively. Because the better way the Council is able to run the things, the more enjoyable the membership will turn for the people and the better and smoother the organization is, the less time people have to invest to it and we can focus more at actually playing than talking and that was my ultimate goal and philosophy. Apex leaving approximately at the same time I got it, then this clan faced another menace in form of the election crisis which almost split the team in half resulting in Meh's abdication and Dak's election, when we were supposed to greet brighter days of future together, not even a couple of days passed and we were hit by another thing, one I personally consider the worst: loosing Kewl, because Kewl was according to me the right man for the job, he had respect and he knew a lot of things and -Æ- won't be the same without him, even those five rounds I played with him yesterday, it was just fun and I wish there could have been more like that, but as was said, we can't force Kewl to stay with us, when he doesn't feel like it. Time passes, we are ought to move on with our lives and we will never forget these guys. But with this happening, these are certainly the darkest days this clan has ever faced and actions are required to avoid complete destruction and I'm sure, the leadership will do everything within their power to bring us back on our feet. I still feel that here are so many extraordinary people around here and it would be a huge mistake to let go of things and stop trying now, when it's needed more than ever. We can do this, but only together! If Council is ready to act, I will gladly accept their offering as long as the offer still stands and help them rebuild this clan with everything we got left. But before this is being done, I would like to know that I shall find support even among members, because what is an office or a Council if there weren't YOU - ordinary members of this clan, who make it what it is, "we" are just a bunch of nerds, who take care of things, keeping forums clean, servers running and events properly organized, but without YOU - members, it is no go, we could be the best Council in the world, we could pour our money, all our time and put a lot of hassle into it, but without members we won't make any progress whatsoever and I want everyone to realize this, because it is not about some magic we can pull off in Council to make this running - it's about every single one of you: members, who will be able to do your small things every day, just like reading forums, answering it, participating, attending events, providing feedback, actively approaching your friends, who might be interested in joining our ranks.. lots of tiny small things EVERYONE of you can do every day and if you do everyday just one of these, you help someone locate this forum, you come up with a good idea or any idea whatsoever or you make sure, you reserve those 2 hours for an event, I promise you that this clan has a huge potential, much bigger than you even realize and by all of us doing our parts, we can keep this complex organism alive and we can all benefit from it and have lots of fun together in the game! So again, it isn't just about ME, trying to help or being in Council or not, it's about all of us being equal and having equal responsibility for keeping the thing alive, well and running. Of course if Dak, Pierry, with whom I have led one team already and Roxas are comfortable with me pursuing this political career within the clan, now I am ready to accept it more than ever, because I think that 2 NA Councilors and 2 European ones are the best possible options we got right now to help stabilize the situation, find out, where we stand, come up with a plan, implement the plan and have loads of fun together in game and elsewhere. All I can hope for is that you won't get disappointed in me, because I can't do real magic and it won't be possible with the rest of you. But if all of you are stil not yet ready to give up and put your trust in me and do things, I think we can pull up this clan and make it a great flourishing community of cool people and enjoy what's left from the game. Wall of text? Make this man a councilor. DeathWatch wrote: Wall of text? Make this man a councilor. If you wish to forgo the month long waiting period we discussed I would support you. 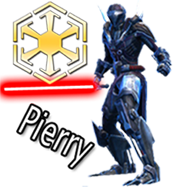 Well Pierry wanted to have a Council meeting and we were going to have you sit in with us to get you ready for the position. Pierry and I were shooting for tuesday. I'll shoot Roxas a text and let him know.